Is there a better alternative to Electroacoustics Toolbox? Is Electroacoustics Toolbox really the best app in Audio category? Will Electroacoustics Toolbox work good on macOS 10.13.4? 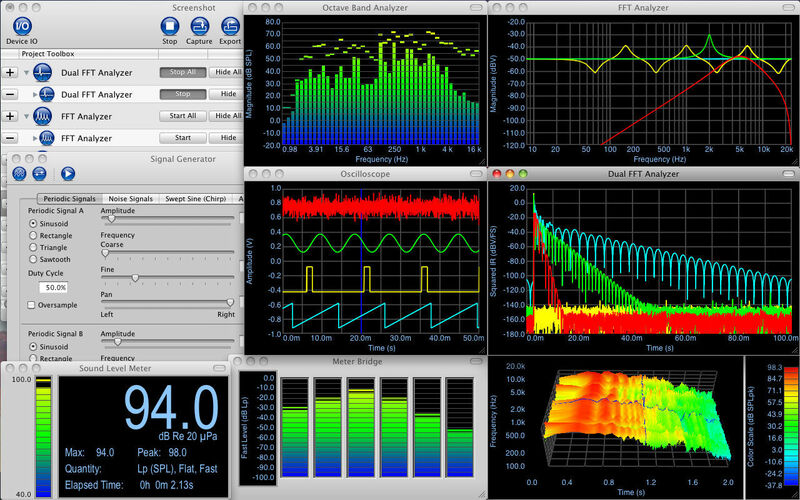 Electroacoustics Toolbox is a modularized, multi-channel, dynamic signal analyzer and data-acquisition platform. Maintenance update, including bug fixes for AppleScript access to the Dual FFT Analyzer tool. Electroacoustics Toolbox needs a rating. Be the first to rate this app and get the discussion started! 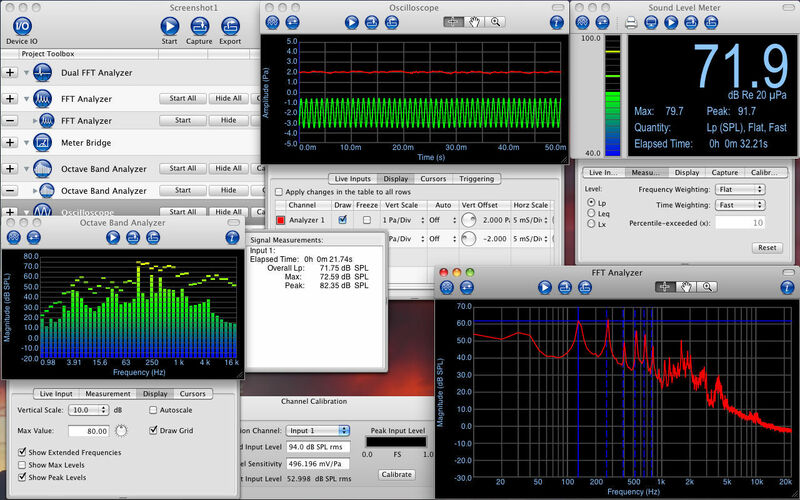 Electroacoustics Toolbox brings powerful new tools to the Mac platform for multi-channel, audio-band data acquisition and real-time analysis of electrical, acoustical, and electroacoustic signals and systems. It enables precise measurements of acoustic quantities, such as equivalent and time-weighted sound levels, as well as acoustic and electroacoustic systems, such as listening rooms and loudspeakers. The software is designed to work with any Mac-compatible audio hardware and supports multiple channels of 8-, 16-, 24-, or 32-bit data with sample rates as high as the hardware will support.